Winter Storm Gia is bearing down on the District this weekend, and there’s only one way for Washingtonians to endure the storm’s wrath: soups. Three of them, to be exact. We’ve rounded up some of our best soups from our recipe box to share with you a second time around this weekend. If you’re going to be snowed in all day, why not try your hand at White Bean Soup with Chorizo, or Eastern Shore-Style Oyster Stew, or Lamb and Barley Stew with Rutabaga and Kale? From chef Seth Brady (formerly of Rustik Tavern), this recipe for White Bean Soup with Chorizo “has strong Proustian powers that take me immediately back to those sweet times kibitzing with a dear friend over life’s possibilities,” writes our publisher and editor-in-chief. Corporate Executive Chef Jason Miller of Balducci’s delighted in his grandmother’s Eastern Shore-Style Oyster Stew all throughout his childhood. Featuring the region’s most famous spice mix — Old Bay — this hearty stew is sure to cure any and all Jack Frost blues this weekend. 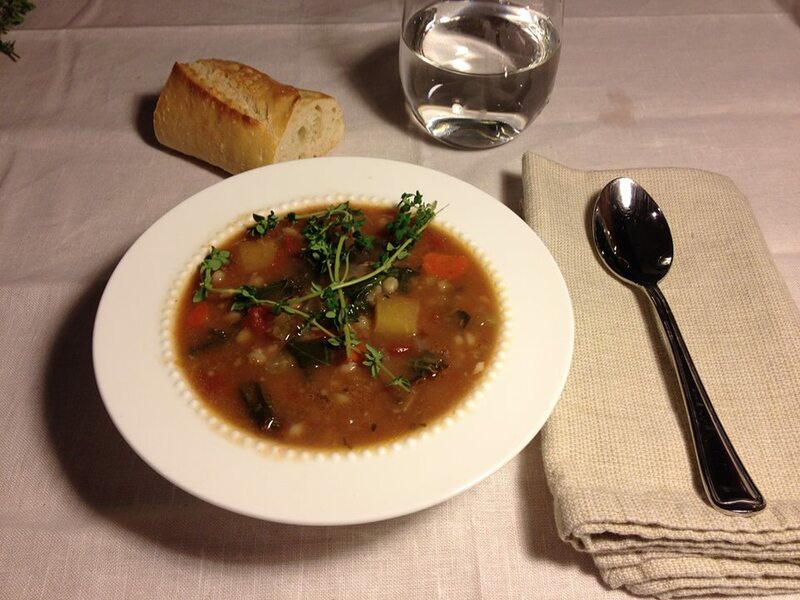 A 2015 Snow Day recipe winner, this Lamb and Barley Stew from Taste of Place’s Kathryn Warnes’ kitchen has everything you could ask of a winter soup: seasonal veggies, a savory broth, and tender, flavorful lamb. Check out Amanda Delabar’s Lemon Blueberry Bread, also a 2015 Snow Day recipe winner, for another weekend culinary project.